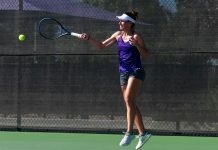 The Kansas State tennis team finished out its three-day tournament in San Diego, California, Sunday, closing the fall season on a high note. 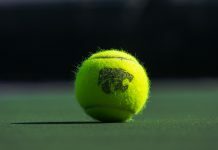 The Wildcats racked up seven wins in the final day of play, consisting of five singles and two doubles victories. The Wildcats came out with two second-place finishes and one third-place finish. Promising, young sophomore Ana Garcia Navas, claimed the silver in singles play after falling to San Diego State’s Kennedy Davis in the final. Senior Livia Cirnu took home the bronze after a dominating performance against San Diego State’s Alli Valk, taking it in two sets, 6-1, 6-0. Senior Palma Juhasz, junior Carolina Costamagna and sophomore Millie Stretton all closed the tournament with two straight victories in the singles competition. Senior Maria Panaite also recorded a win during the final day in San Diego. 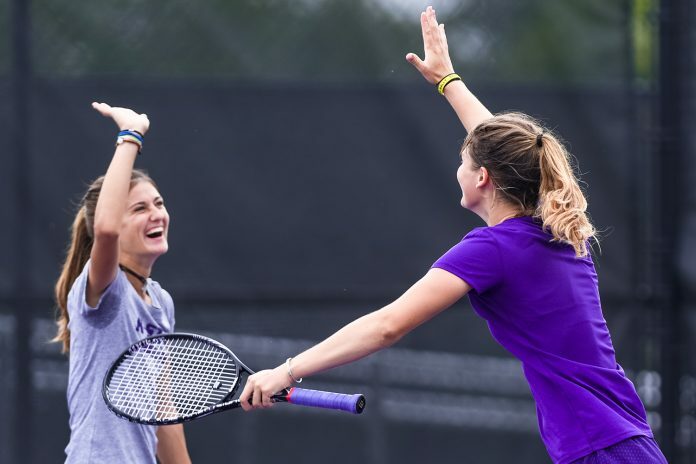 On the doubles side of the equation, the duo of Costamagna and Juhasz closed their fall season out in good fashion, taking second place in doubles play after falling to North Texas University. They were not the only duo to catch fire for the Wildcats at the Fall Classic, as all of the pairs came out with a 2-1 record. In doubles, Garcia Navas and Panaite and senior pair Iva Bago and Cirnu both finished the day on a strong note, each taking the victory in their consolation final. After a successful three-day tournament, the Wildcats have the winter to rest up for their trip to Honolulu, Hawaii, on Jan. 13 to begin the spring season.